Joystick click is a smart navigation key concept based on contactless, magnetic movement detection. It features AS5013 Hall IC as well as N50P105 miniature magnetic joystick module. 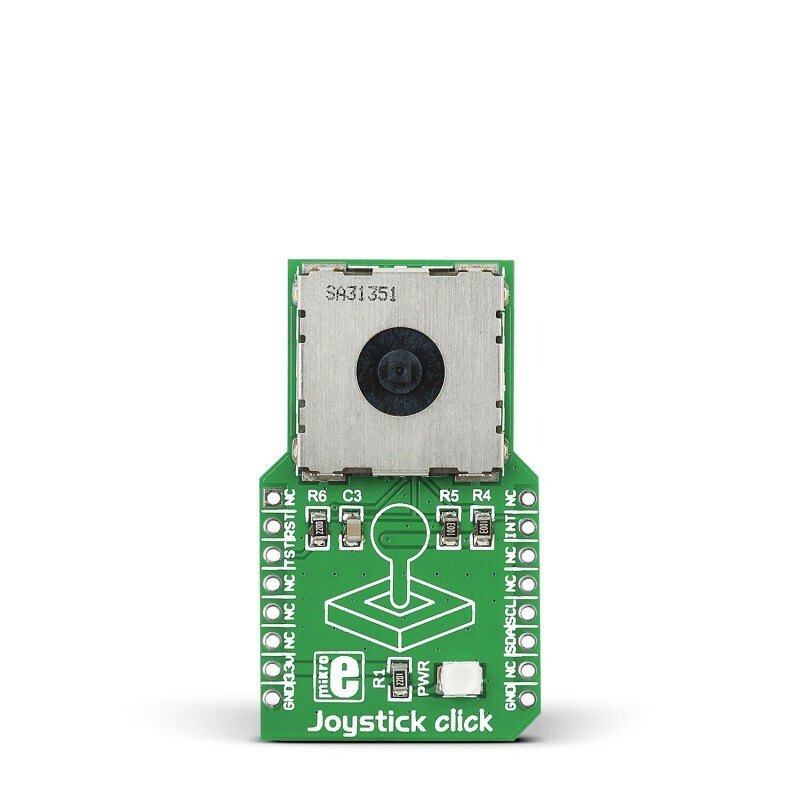 Joystick click is a smart navigation key concept based on contactless, magnetic movement detection. 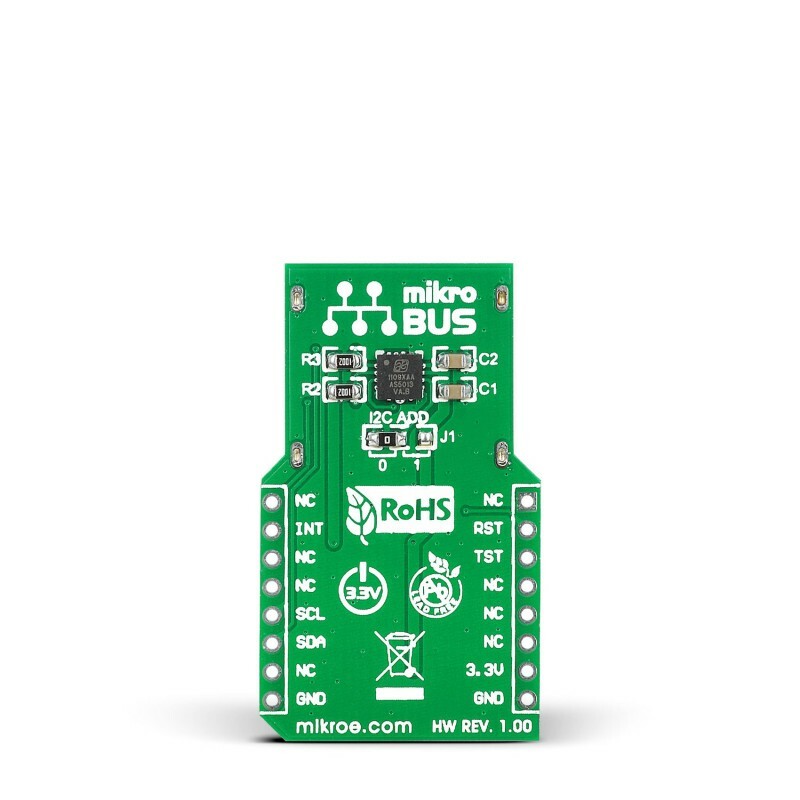 It features AS5013 Hall IC as well as N50P105 miniature magnetic joystick module. 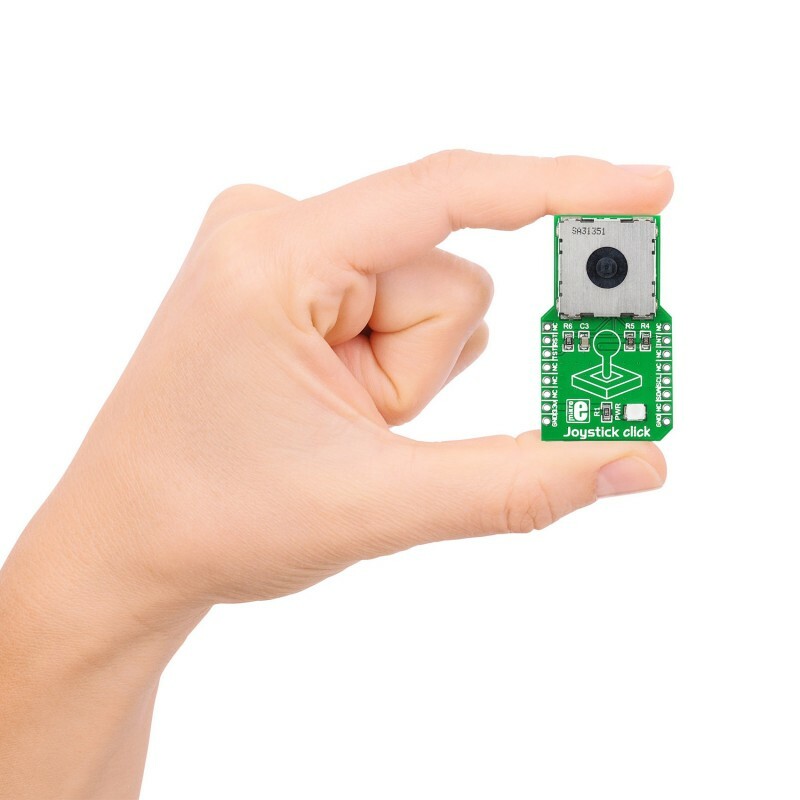 The AS5013 includes five integrated Hall sensing elements which are monitoring the movement of the magnet incorporated into the joystick, and directly provides the X and Y coordinates via I2C output. An integrated mechanical push button is also built into the joystick. 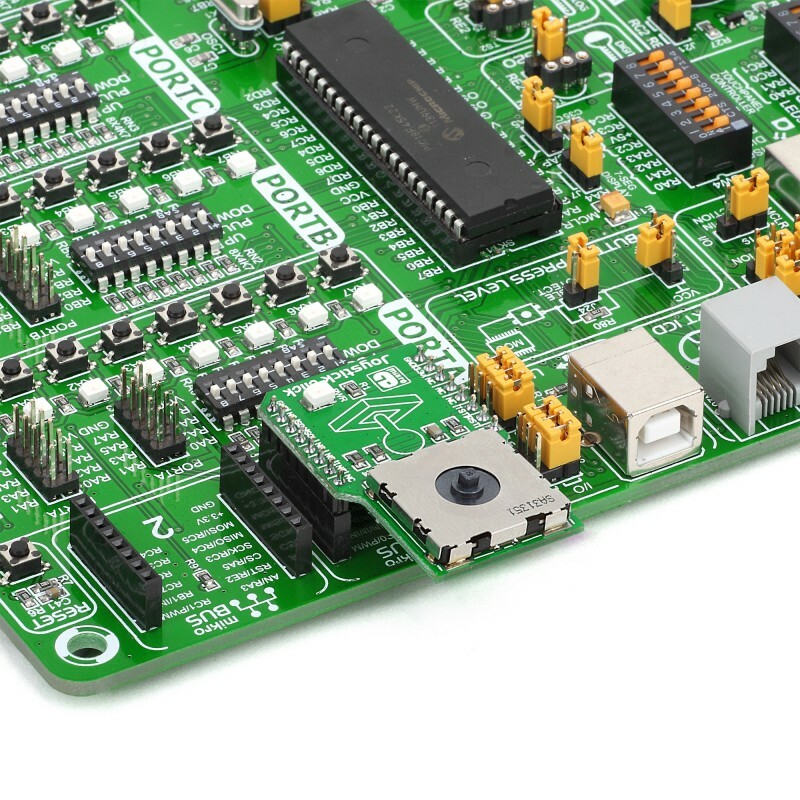 Board uses 3.3V logic and power supply only.